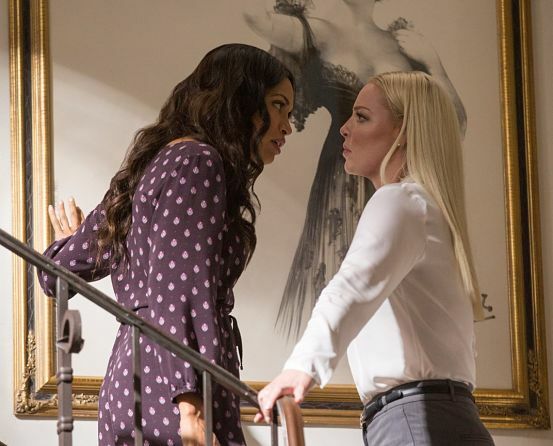 THE WOMEN: Dawson and Heigl square off in this scene from the new thriller-drama. FOR any Hollywood actress worth her salt, there comes a time when you have to shed that America’s Sweetheart image and show some toughness and brawn, real depth and range. Julia Roberts, Reese Witherspoon, Anne Hathaway – they’ve all been there. In this month’s Unforgettable, Katherine Heigl (known for such laugh-out-loud romps as 27 Dresses and Knocked Up) steps up to the plate, taking a dramatic departure from her signature roles to turn up the heat as Tessa Connover, an unhinged divorcée going to extremes to ruin the life of her ex-husband’s new flame, Julia Banks (played with enormous warmth and vulnerability by Rosario Dawson), an editor who leaves the big city for a fresh start in a small town with a gorgeous man (George Stults as David Connover) and his young daughter, Lily. Directed by Denise di Novi, working with a script by Christina Hudson, Unforgettable is no Fatal Attraction, but it is frequently jolting and utterly realistic, compellingly recalling such predecessors as Obsessed (Beyoncé Knowles and Ali Larter squaring off over Idris Elba) and the more recent When the Bough Breaks, where Regina Hall and newcomer Jaz Sinclair had their knock-down drag-out brawl over Morris Chestnut. EVERY week viewers would tune in by the thousands for a quick rundown of the hottest music videos in the land and catch up with their favourite entertainers, thanks to Reggae Trail TV, hosted by Suzie Q. Nowadays, the affable hostess is taking the show in a brand-new direction. Introducing the Suzie Q Gospel Trail, which is being launched this Friday, April 28, at The Hive (formerly the Famous Night Club) in Portmore, St. Catherine. As we hear, the launch is being put on by On Point Entertainment, and will take the form of a grand gospel showcase and premiere party, with performances by Lt. Stitchie, Carlene Davis, rising sensation Alicia Taylor and the Katalys Crew, among several others. If you want more info, check out suzieqgospeltrail.com. People are saying RJR’s new pairing of Francois St. Juste and Paula-Ann Porter-Jones is the new Allan & Dorraine. Airwaves veterans Porter-Jones and St. Juste have teamed up to host Sunny Side Up, weekday mornings from 5:00am - 8:30am, a move that could boost the morning listenership for the long-running station. Things seem to be progressing smoothly towards the much-anticipated staging of this summer’s Reggae Sumfest concert series, now in its 25th year! 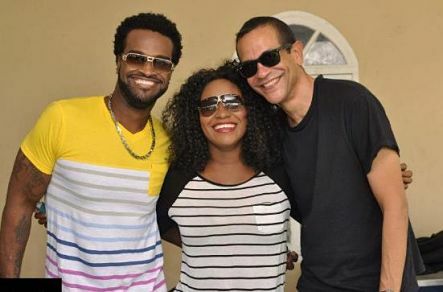 Newly christened “Our Music, Our Festival”, the fest takes place July 16-22 at Catherine Hall, Montego Bay. According to a release, Times Square in NYC recently got a taste of what’s to come in July, as DownSound Entertainment hosted a special New York launch at The Sky Room. 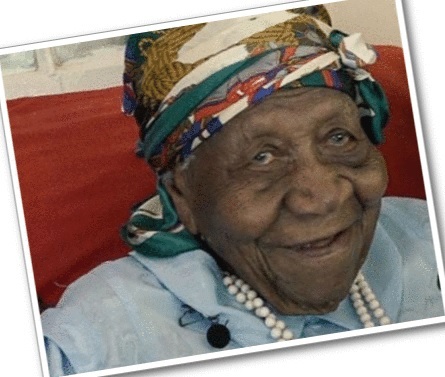 So in addition to being home to the World’s Fastest Man and Woman, Jamaica now has the distinction of being home to the World’s Oldest Woman! At 117, Violet Mosse Brown, a native of Trelawney, also happens to be the World’s Oldest Living Person, period, according to checks by the US-based Gerontology Research Group. So what’s Mama Violet’s big living-it-up secret? 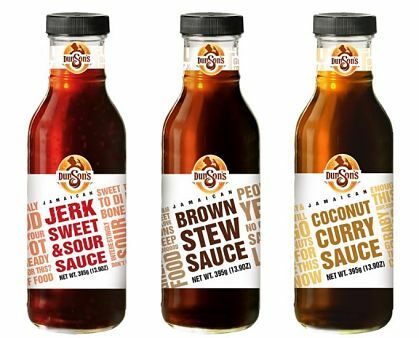 “Really and truly, when people ask me what me at to live so long,” she recently told an interviewer, “I say to them than I eat everything except pork and chicken, and I don’t drink rum.” Kiddies, take note. What’s the latest on the Buju Banton saga? Are his lawyers still working on that appeal? Is he in good health? Is Cindy Breakspeare still planning to publish that tell-all book, revealing her side of the-Bob-Marley-I-knew story? God knows the world is waiting on it. Surely it will be one of those juicy unputdownable reads. PRACTICE MAKES PERFECT: Rehearsal is a key part of the preparation process for these secondary school musicians. 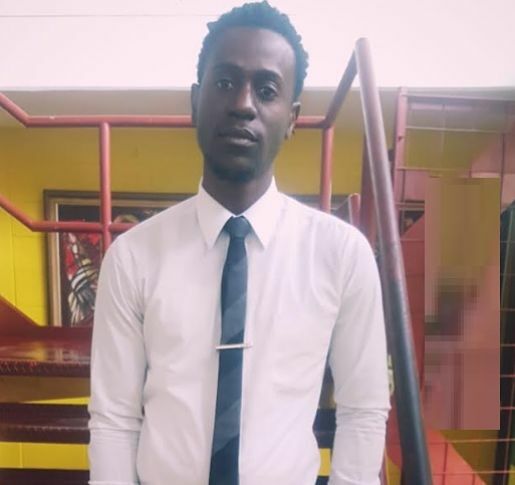 PAUL Graham dreams of becoming a member of the backing band for the likes of Chronixx and Tarrus Riley and accompanying them on tour, taking reggae to the global masses. 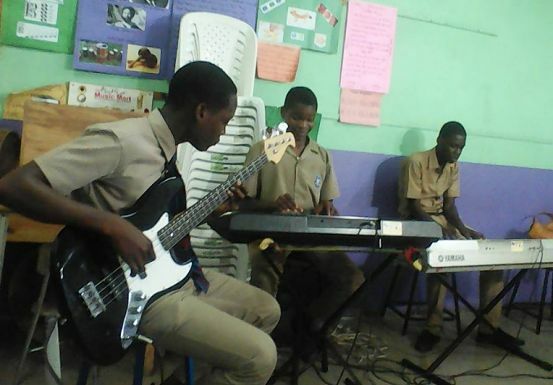 He’s getting terrific practice as a member of the Bog Walk High School band, the top school band heading into next week’s grand finals of Jamaica’s Best School Bands competition, an annual showcase for talented teen musicians and vocalists, now in its fourth year. TALLAWAH hears multiple variations of his story on this warm and extremely busy Sunday night inside the Vera Moodie Concert Hall at the Edna Manley College, where the judges are checking out performances from this year’s crop of semi-finalists to select the six schools that will view for top honours at the finals on April 23. DaWayne Wilson, the 18-year-old leader of the Cross Keys High contingent, clearly has a bright future ahead of him. Extremely tall with the vocal and songwriting skills to match, he’s been penning tunes for the past seven years. He may have a hit on his hands with “The Struggles,” a deeply resonant riff on today’s harsh socio-economic realities and the resilience it takes to pull through. 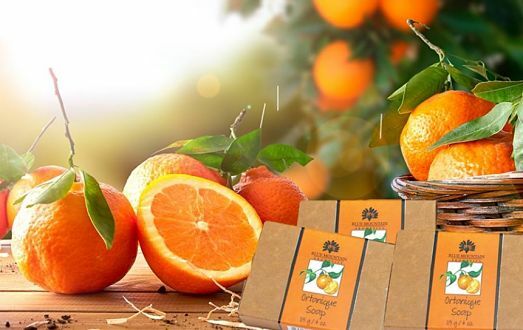 “I would say it has been an extremely wonderful experience so far. We really want to win the competition this year. We’ve been rehearsing every day after school. Some of our instruments got stolen recently, and that set us back a bit, so the song is also reflecting what we’ve been going through,” says Wilson, who is already using the stage name Prince Touriss. THE NEW ME: “It’s a unique experience, and I see that the Lord is doing something in my life,” Ellis says of embracing his new chapter. For the past quarter-century, Ian ‘Ity’ Ellis has been serving up whip-smart comedy routines with his rotund partner-in-rhyme Alton ‘Fancy Cat’ Hardware. 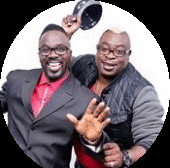 Together, they do serious damage, blending wit, keen observations of Jamaican life and social commentary to create laugh-out-loud entertainment. These days, something new is happening in Ity’s life. Not only has he given his life to the Lord; he’s melded his Christian faith and comedy genius into a business venture branded as “praise and laughter,” which he and his creative team will be heavily promoting for the rest of the year and beyond. 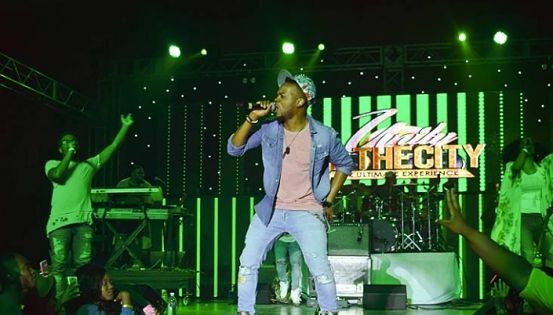 TALLAWAH caught up with the 40-something entertainer, businessman and popular emcee at Monday’s Unity in the City gospel bash at the National Indoor Sports Centre to talk about his Christian walk, his serious side, and celebrating a major career milestone. 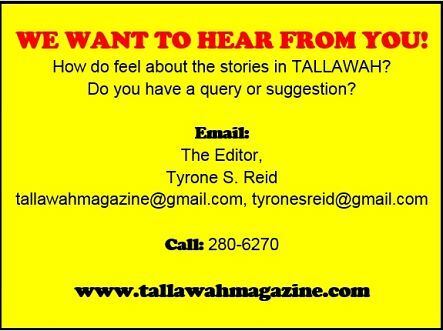 TALLAWAH: How have you been finding the Christian-life experience? Has the church embraced you? 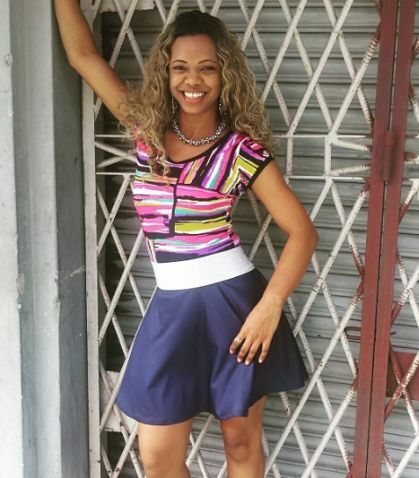 Ity Ellis: Since I made the change January 1st of last year, it has been wonderful. As you know, my genre is comedy, where it’s all about fun and laughter, but the church has really embraced me. I’m doing more events like these, and the response has been good. It’s a unique experience, and I see that the Lord is doing something in my life. I’m also building my own brand called “praise and laughter”, so the work continues. TALLAWAH: What has surprised you the most since making the transition? Ity Ellis: I think what has come as the biggest surprise for me is the amount of experts outside of Christianity who are telling Christians how they should live; people who are not Christians behaving like experts. TALLAWAH: So what would you say is your role now as a new man in Christ? Ity Ellis: My role is to live a life that people can see Christ in me and come to know Christ. TALLAWAH: You’ve been serving as a brand ambassador for mobile giants Flow for a while. What’s that like? Ity Ellis: I’m a free agent now, but I still do some work with them from time to time, appearing on different shows, emceeing, performing. I did have a contract with them, but I’m not working with them in that capacity any more. TALLAWAH: Your comedic partnership with Fancy Cat still gets people rolling in the aisles wherever you go. Are you still as thrilled about stand-up comedy as when you just started out? Ity Ellis: Absolutely. This year, I’m celebrating 25 years of my comedic partnership with Fancy Cat. This is our 10th year doing The Ity & Fancy Cat Show. So we’re giving thanks. It’s still fun, it’s still exciting, but my friends say I shouldn’t let the church get me too serious. (Laughs). TALLAWAH: So there is a serious side to you. Ity Ellis: Yes, definitely. When it comes to God I am very serious. TALLAWAH: How will the rest of the year play out for you? What are you most looking forward to? Ity Ellis: As I said, it’s the 10th year of The Ity & Fancy Cat Show, so we have major plans to celebrate that milestone. We also plan to put on a big show later this year in support of the whole “praise and laughter” brand that we are promoting. TALLAWAH: That’s a lot to look forward to. When you reflect on your journey to this point, how do you feel about your life in general? Ity Ellis: It feels good; it feels wonderful. I have life, can’t complain. And having that life now extends beyond the physical realm. For me, life is now eternal through Christ. DREAMING IN COLOUR: Karl Williams has done it again. 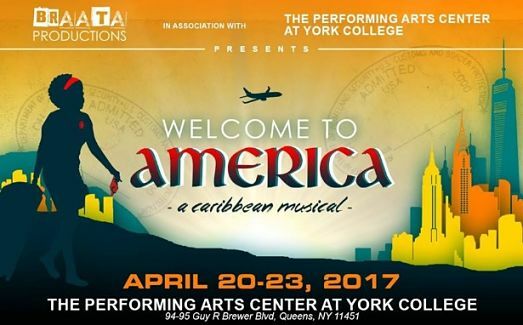 The versatile award-winning playwright has followed up the triumphant success of his provocative plays The Black That I Am and Not About Eve with Welcome to America: A Caribbean Musical, which gets its world premiere run at the York College in New York this month. 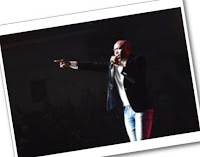 The song-and-dance show sees Williams (book and lyrics) collaborating with Braata Productions’ Andrew Clarke (producer) and composer/musician Joel Edwards (musical director). Exploring the Caribbean immigrant experience, the complex pursuit of the American dream, and such universal themes as ambition, hope and dignity, Welcome to America tells the story of Sabrina Barnes (Fitgi Saint-Louis) who leaves her island home in the hope of becoming a bonafide star, but she soon realizes that, in spite of her talent and determination, the dream she is chasing may be in jeopardy. 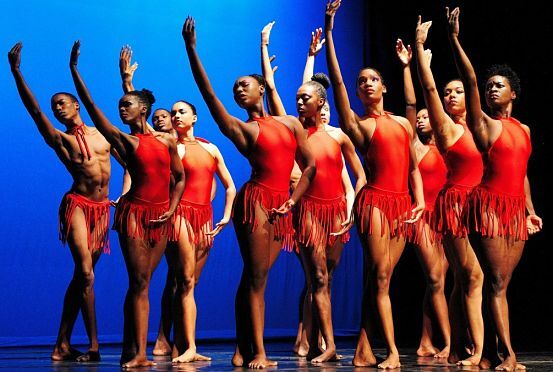 In addition to Williams, Clarke and Edwards, the production’s creative team includes Courtney Ffrench, who supplies the choreography and Yudelka Heyer, who directs. CLASS ACT: On May 2, Mona’s Philip Sherlock Centre will come alive with the sound of heavenly piano-playing. Iconic pianist Halvard White is bringing his impeccable artistry and one-of-a-kind musicianship to the stage for a recital that’s sure to delight his long-time admirers and secure new members for the fan club. 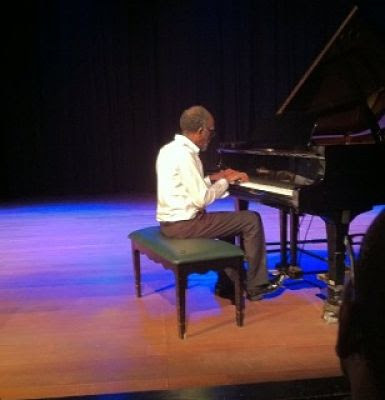 No stranger to giving solo piano recitals that consistently draw standing ovations from packed audiences, White’s programme will see him delivering interpretations of compositions by Chopin, Debussy, Ravel, Rachmaninov and Ludwig Van Beethoven, among other classical masters. Showtime is 7:30pm. 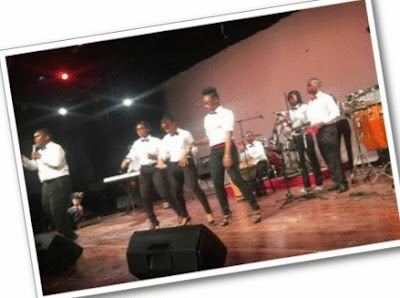 TALENT SHOW: Before the crème de la crème can be selected for the beloved Mello-Go-Roun’ concert showcase, performers have to bring their A-game to the National Finals of the JCDC Festival of the Performing Arts. 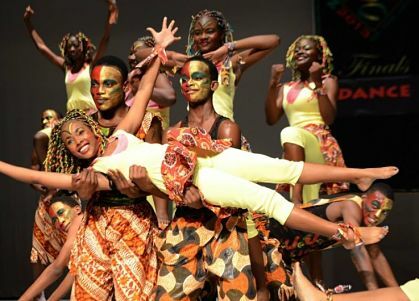 This year’s finals, to select gold medal winners in music, dance, speech, drama and traditional folk forms, is currently underway at the Little Theatre in Kingston, bringing together the year’s most outstanding entries and entrants (prep, primary and high-schoolers, community groups, et al) from across the island. The 2017 finals are scheduled to conclude on May 2. 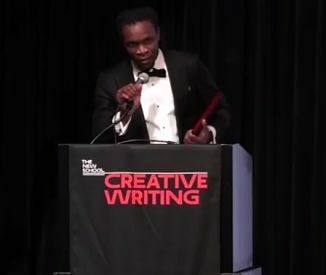 The event is being organized by the Institute for Gender and Development Studies and the Institute of Caribbean Studies, who put Stephens’s “lyrical contribution, social justice commentary and political analysis on par with her musical counterparts such as Bob Marley, Peter Tosh, Mutabaruka and Linton Kwesi Johnson.” The campus’ Neville Hall Lecture Theatre will host the symposium, for which artistes and cultural producers are being invited to contribute poems, songs, dub selections and paintings, all related to the work of Tanya Stephens. For more info, contact the organizing committee at tanyastephenssymposium@gmail.com. SAVE THE DATE! 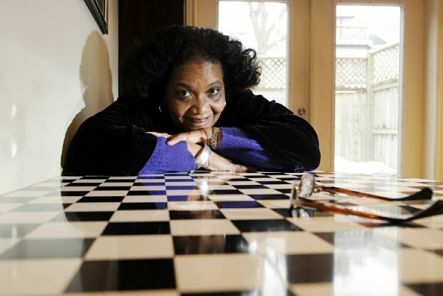 Waiting-in-the-wings Poet Laureate of Jamaica Lorna Goodison is set to headline this year’s Talking Trees Literary Fiesta, which returns to the Two Seasons Guest House in Treasure Beach, St. Bess, on May 27, for a full day of poetry and fiction readings, theatrical performances, fashion, food and fellowship. Stay tuned for details (including the names of confirmed participants) in the coming weeks. 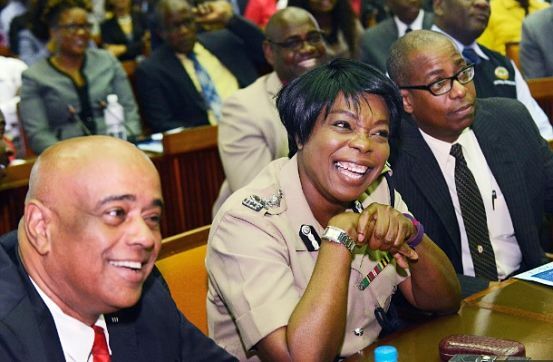 DYNAMIC DUO: Top cops Grant and Quallo (left), the newly appointed Police Commissioner, enjoying a light moment. By now we all know that Miss Novelette Grant did not get the job as Police Commissioner, even though she was “acting” in the role for some time, for about the second time in her career. Mr. George Quallo is the new top cop. But a woman in the role of Commissioner at this time would have provided such an interesting change for the image of the constabulary and a new confidence boost for girls and young women across Jamaica. Wishful thinking? This moment brings back so many memories. 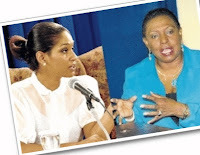 You will recall in 2006, for instance, when Margaret Campbell was made Principal of St. George’s College, and the enormous backlash her appointment caused – a ripple effect that was even felt in the Diaspora. A woman had been appointed headmistress of the venerable all-boys institution, which was started by the Jesuit Catholics. Was this the end of the old boys’ club? For the record, Mrs. Campbell is no longer Principal of St. George’s College. Call it unshakeable tradition or plain-old gender bias, but there is this entrenched belief that certain positions, certain roles, in the society are expressly for men. Competence be damned. Don’t we need men and women to rule equally? Still, let’s face it: in this lifetime, a woman will never be appointed Commissioner of Police, Minister of National Security, JDF Chief of Staff, Archbishop of the Roman Catholic Church or Governor General. For many, these roles demand a certain gravitas that only a strong, commanding leader (a man, that is) can deliver. 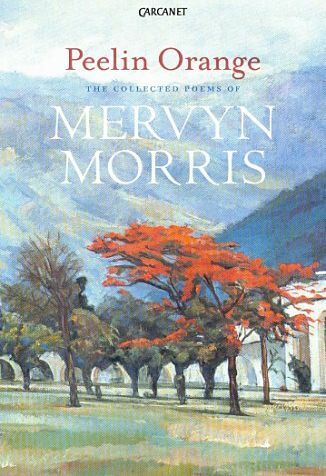 What’s more, as Caribbean people, too many of us are threatened by benign change, and our long-held prejudices tend to cloud our better judgment. But back to the Commissioner job. One can’t help but wonder: why is Novelette Grant good enough, qualified enough, to “act” in the role but not take over officially? She’s not tough enough to tame the crime monster? It’s always been a terrific experience to see influential positions like that of JTA President being filled by members of both genders – the Nadine Molloys standing shoulder to shoulder with the Howard Isaacs. At the same time, the female bishops (in several denominations) continue to shepherd large congregations and church districts the length and breadth of Jamaica. Like I said, we need men and women to rule equally. Hats off to the sharp and super-strong Paula Llewellyn, who is still fighting the good fight and rolling with the heavyweight punches that come with her job as Director of Public Prosecutions (DPP). 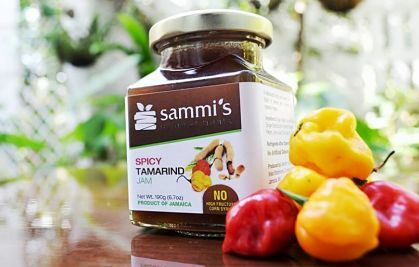 It might be a while before Jamaicans witness the rise of another Portia Simpson-Miller (and another Hillary Clinton in the United States, for that matter). But rest assured that Nanny’s spirit is very much alive and well, so one should always expect the unexpected. That said, I’m starting a petition to have Barbara Gloudon appointed our next GG! “My speech will be very controversial, because it’s coming from the heart.” So says Terri Salmon, in reference to the strong message she will be delivering to mark the genesis of her not-for-profit entity Y.A.R.D Empire, which stands for Youth for Arts and Recreational Development. Salmon and her team will be hosting a press/media launch on May 31, inside the Phoenix Theatre’s Blue Room, where she plans to challenge stakeholders to play a more vigorous role in mentoring at-risk Jamaican youth. And that’s precisely the core objective of Y.A.R.D Empire – using the performing and visual arts to empower at-risk youth (aged 13-23 years) and rehabilitate them. Given financial constraints, Salmon says she hopes sponsors will respond to the mission. “It’s not a big thing; we don’t have the money to do it on a grand scale, but it has to be done properly and it has to achieve its objectives,” the veteran actress and activist tells TALLAWAH, adding that the programme will also be venturing into communities and penal institutions islandwide. 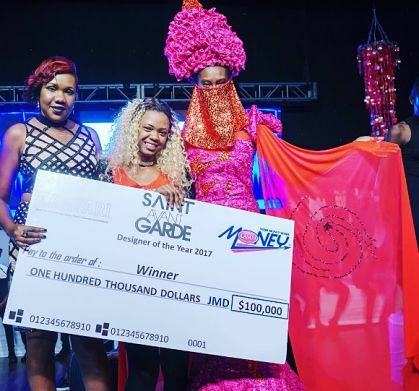 “The arts in Jamaica is lacking sponsorship, so I am trying to get sponsors to be aware of what we are doing and come on board.” To get in touch with Salmon and the Y.A.R.D Empire team, email terrisalmon876@gmail.com. 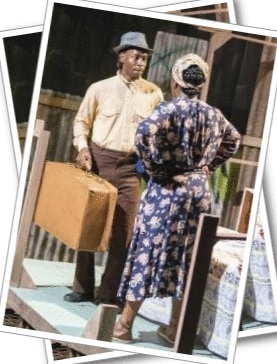 What will become of the Jamaica Association of Dramatic Artists (JADA)? According to TALLAWAH sources, the association, which acted as a lobby group for local theatre practitioners, has not been active for well over two years now. In an interview with TALLAWAH, circa 2015, the late Scarlett Beharie told us that she was stepping down as president, with the hope that a successor would be elected. Apparently, that didn’t transpire. So it remains to be seen if the momentum sparked by the recent Women In Theatre Festival and the new-look Actor Boy committee will help breathe some life back into the now-defunct association, which the industry desperately needs. 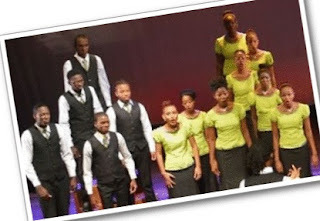 We don’t hear much from them throughout the year, but you can say this for the low-key UWI Chorale: they know how to put on a concert, taking cues from their big sister troupe, the internationally acclaimed University Singers. The chorale’s recent mini concert season, which we caught on its final night, delivered a hyper-rhythmic, soul-stirring blend of cleverly arranged spirituals and gospel jams, Jamaican folk classics and cool modern/contemporary sounds. They have a wonderfully talented leader in Shayn Wright, an exceptional vocalist and multi-instrumentalist who is guiding the flock with a maturity that belies his 20-odd years. Noel Dexter’s legacy is in good hands. TOURISM stakeholders, led by Minister Edmund Bartlett, have always stressed the need for more hotel rooms, especially to meet the demand in the corporate area. Now comes glorious news that the Wyndham New Kingston (formerly the Hilton) is about to be re-opened! 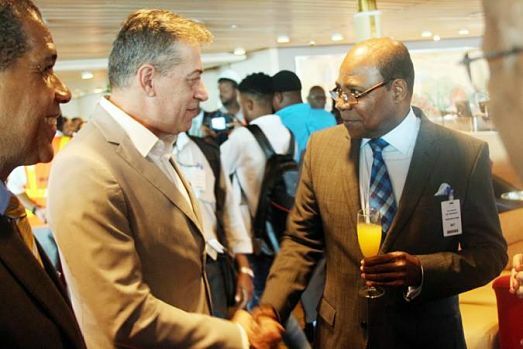 Though no official date has been confirmed for its return to business, we hear it will bring back some 300 rooms to the sector and join the competition for A-list clientele in the city. Another much-buzzed about establishment, The R (which was at one point being called The Renfrew), is opening its doors for business in New Kingston as of this summer, supplying over 30 high-end rooms and two-bedroom apartments as an extended-stay haven. And word on the street is Sandals Resorts International’s 220-room AC Hotel by Marriott is slated to commence operations in Jamaica in the last quarter of 2019. 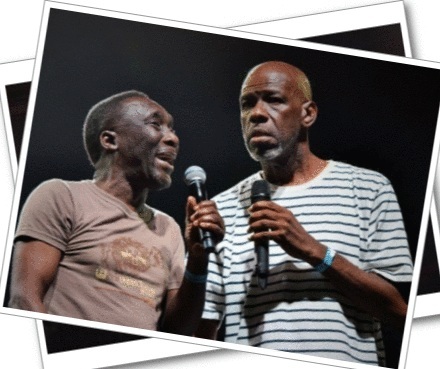 Quiet as it’s kept, the Jamaica Jazz & Blues Festival seems to have gone on permanent hiatus. Last we heard, plans were afoot for the staging of a spectacular 20th anniversary concert. But that was two years ago. Will we ever relive the musical magic that came with show-stopping performances from such headliners as Patti LaBelle, Celine Dion, Earth Wind & Fire and Beres Hammond? Time will tell. Speaking of surprising changes, it would appear that Usain Bolt’s Tracks & Records is no longer putting on concert series like the mega-successful Behind the Screen, which used to draw hundreds of patrons to the Marketplace hotspot on a Tuesday night, to catch performances by everyone from Beenie Man to Konshens to Tanya Stephens. 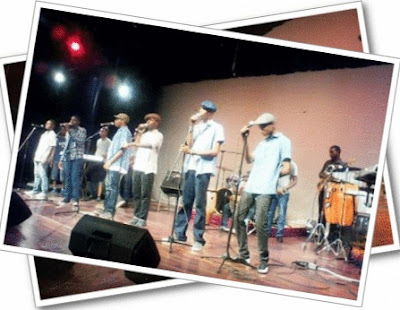 In partnership with Sharon Burke and the Solid Agency team, it was a splendid addition to Kingston’s live music scene – and a revival would be much appreciated. 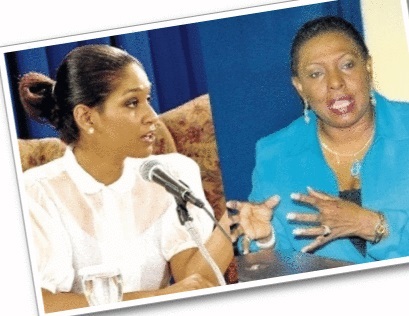 * Will Olivia ‘Babsy’ Grange and Lisa Hanna ever call a truce? The ‘culture’ queenpins are always going at it. But on the upside, as influential policymakers, they are keeping each other honest and holding each other to account, all in the name of good governance. One can only imagine the ‘friendly’ sparring to come between PM Andrew Holness and Dr. Peter Phillips on the campaign trail as Elections draw closer. * Is Camille Davis returning to the flock at Jambiz Productions? Both Davis and fellow actress Sharee Elise are sitting out this season’s production, Frank the Freak, currently thrilling audiences at Centrestage. But while Elise has indicated that she intends to be back on stage for their summer 2017 production, Davis’ future plans are still up in the air. Both Elise and Davis have co-starred in such crowd-pleasers as The Baby Scam, Duppy Whisperer and last year’s Blind Spot.